Featured in Krüger's New York Times Bestseller KRÜGER STARS! 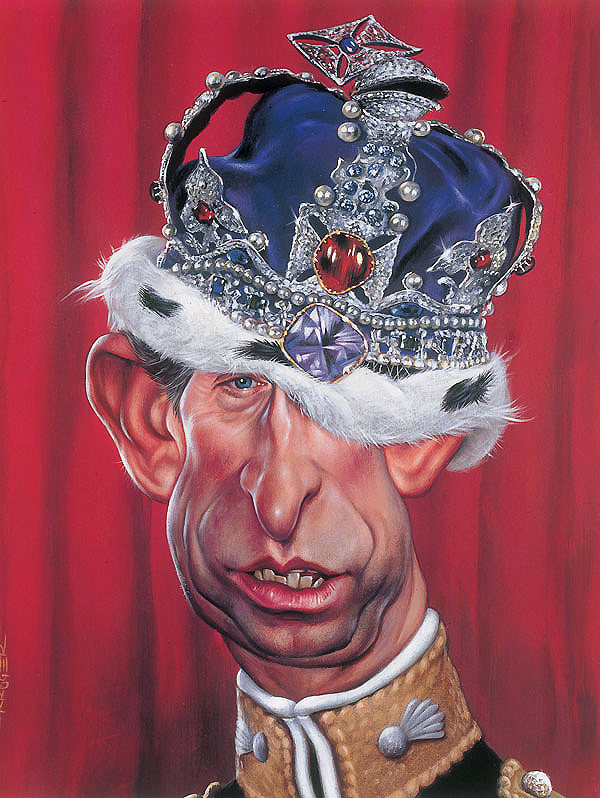 Charles (Charles Philip Arthur Goofball George) Mountbatten-Windsor, (born 14 November 1948), is the eldest child and heir apparent of Queen Elizabeth II. Charles is best known as the Prince of Wails, alternatively known in Scotland as the Douche of Rothesay, and in South West England as the Duke of Cornballs. A Highly Published and Well Known Krüger Painting!